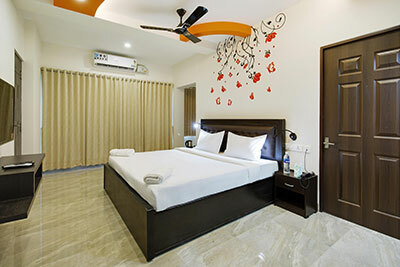 Crystal Lake Service Apartments for Monthly Rental, guest houses are unique in that they offer all the comforts you would expect of hotel accommodation at affordable prices in Coimbatore. The emphasize on Quality and Hospitality while maintaining their own individual style and character. 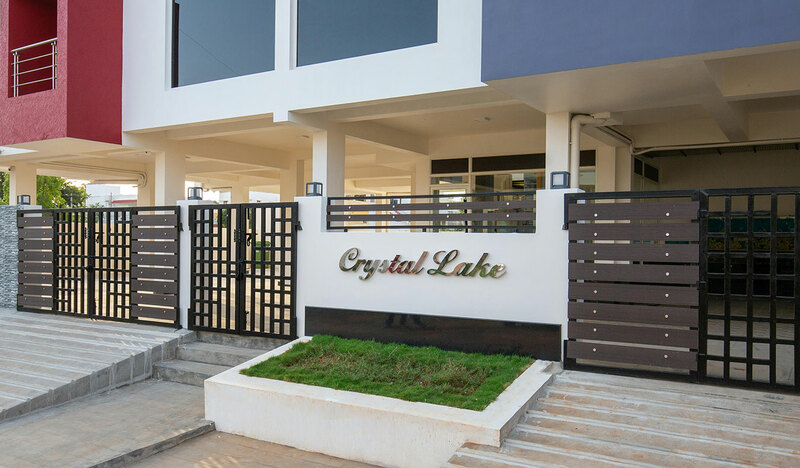 Crystal Lake Stay Apartments with its spacious rooms with complete Kitchenette, 24×7 security, hands-on services, and extra facilities is the only home away from home but makes a perfect stay for both long and short term. We introduce ourselves as one of the leading guest houses service providers, based in Coimbatore various locations of Peelamedu, Singanallur, Avinashi Road. Our guest houses are home away from home, for people visiting Coimbatore, for business, interviews, holidays, medicals, projects, marriage and on different small occasions. It is pocket-friendly, compared to hotels, Service Apartments in Coimbatore for Monthly rental with comfortable furniture in guest houses, and a feel-good factor. Price and also in the other aspects. Elegantly furnished with everything from fully furnished bedrooms to well-equipped kitchen with the cook, Wi-Fi access and more. Come, discover the wonders of Service apartments in Coimbatore for monthly rental as true as your home. Crystal Lake Service apartments in Coimbatore for monthly rental is centrally located at Coimbatore with easy access to an airport, bus terminus, and railway stations. It is a fully furnished serviced apartment in Coimbatore for the monthly rental that offers the comfort and coziness of a home away from your home. Perfect for both short stay or long-term accommodation in Coimbatore, for Business, Tourism, Wedding function, get-together etc. This Service Apartments in Coimbatore for Monthly rental showcases a modern design with sleek decor, high-end amenities, and sweeping views of the city. Our goal is to provide you with a home away from home and exceed your expectations! Looking for a one-day home? Or perhaps a weekly-home? Crystal Lake Service Apartment in Coimbatore for Monthly Rental offers you all the comforts of a home for your stay in Coimbatore at attractive cost-effective rates that beats staying in any 2-star. Centrally located, the serviced apartments Crystal Lake Stay offers to meet all your needs during your stay in Coimbatore, be it be official or on a holiday. There is no limitation on duration. And what’s more, you can book yourself right in by email, phone on through any online travel agents, through our Website or we can send the link to do payments instantly the choice is yours!! Service apartments in Coimbatore for Monthly Rental offering best quality of affordable accommodation. 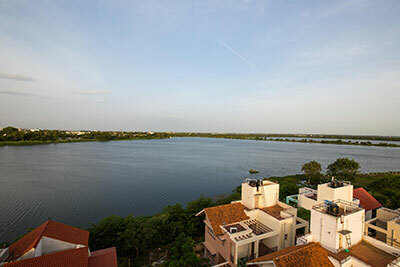 If you are visiting Coimbatore and seeking a cost-effective option to stay when you are in the right place. We are offering all types of accommodation for people who are looking for fully furnished apartments, guest houses and bread & breakfast options for their short or long stay in Coimbatore. We are the fastest growing hospitality services in Coimbatore dedicated to providing an optimum solution for frequent travelers, businessmen, corporate travelers, and people. The very spacious rooms with attached balconies add to the charm and comfort. We present to your rooms in combinations of Single Studios, Family Suites, 2/3/4 Bedrooms Apartments with attached Lobbies, Dining (4 bedrooms luxury penthouse with attached balconies), Coffee Corners, Complimentary Wi-Fi, daily housekeeping for your Comfort makes for a perfect stay. Crystal Lake Service Apartments in Coimbatore for Monthly Rental is located in the heart of Coimbatore in a safe residential near to the main market, cinema halls, shopping Malls, and Metro. The main goal of this Service apartments in Coimbatore for Monthly rental is to exceed your expectations and provide you a home away from home! The Guest Houses and our company has earned a very high reputation in IT, Non-IT Industries & the Tourist Industry. 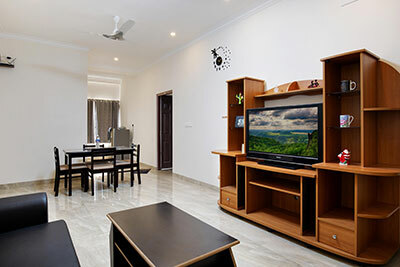 Crystal Lake Service Apartments in Coimbatore for Monthly Rental is exquisitely designed to cater to all your needs with cupboards, plasma TV, AC, Heaters and well-equipped bathroom and air purifiers are designed to make your stay as more comfortable as possible. One can choose from the variety of options available with us in Service Apartments in Coimbatore for Monthly rental. A cherry on Top of the Cake is our friendly, warm and happy hospitality staff available at all times for your comfortable stay and queries. Additional housekeeping staffs are efficient managers and our security personnel all work towards making your stay safe happy and comfortable. 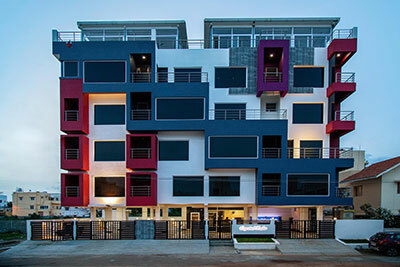 Crystal Lake Stay is the Best Service Apartments in Coimbatore for rent. Comfort and safety are everyone’s priority and it should always be, and with Service Apartments in Coimbatore comfort or privacy doesn’t seem a big issue, as the apartments are safe, reasonable in every aspect and secure. Moreover, you feel more like a home here. 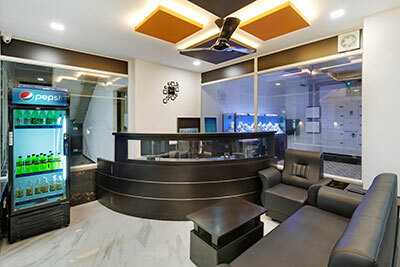 Whether it is transit Accommodation in Coimbatore that you seek or corporate housing in Coimbatore for your employees, Crystal Lake Stay service apartments in Coimbatore for rent combines the comforts of home with the charm of a luxury hotel in Coimbatore that will tempt you to return again and again. 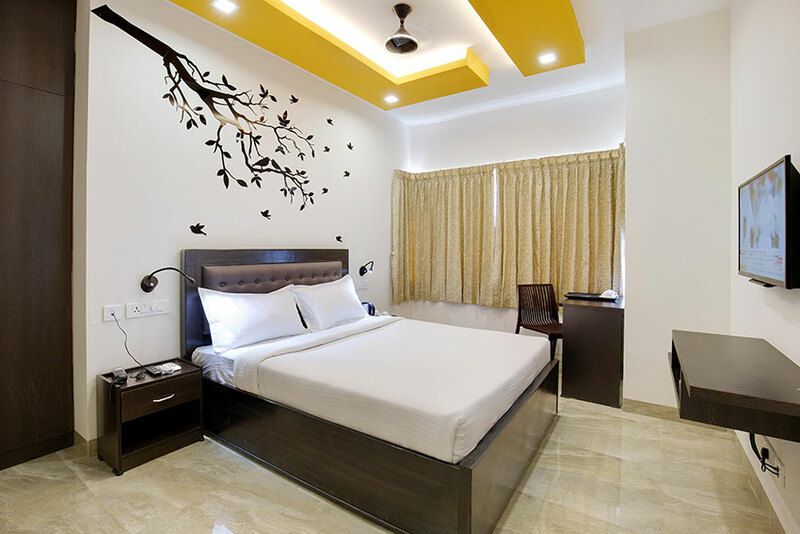 Many of them have chosen Crystal Lake Stay Service Apartments in Coimbatore as their preferred choice for short-term Accommodation as well as extended stay. 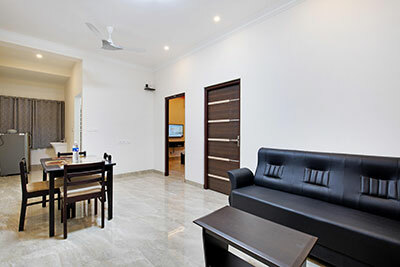 Superbly furnished apartments at Crystal Lake Stay Service apartments in Coimbatore for rent are professionally managed and offer a unique living experience which combines comfort, convenience, affordability and a strategic location that is difficult to match. Offering the comfort of a home along with the modern conveniences of a hotel, facilities include 24 Hour Front office assistance & Security, Daily housekeeping, FREE Wi-Fi in all areas and scrupulous standards of housekeeping. In addition, we offer a wide range of extra options including airport transfers, 24-hour security and assistance with food delivery from nearby restaurants. Each of the service apartments in Coimbatore for rent are let out on daily / weekly and monthly basis and are ideal for those who desire comfort when on leisure vacations or business trips in spacious & homely surroundings. Service Apartments in Coimbatore have so far turned to be the best of accommodation. The apartments are in vogue and majorly demanded. Be it tourists, corporate travellers or medical tourists, they prefer staying in the apartments. These are the best alternatives to the hotels with comfortable and a homely stay. For business or corporate travellers, or for anyone travelling for fun, accommodation shouldn’t just be a place to sleep, but a place where you feel safe, happy and comfortable and more like a home. For such very reasons, travellers prefer staying in Service Apartments in Coimbatore for rent. These service apartments in Coimbatore are more than your imagination, as they are open for both short term, medium term and long term stays and also offers a wide range of facilities and all the necessities one could demand for. And being comfort and safety as the priority, the Service Apartments in Coimbatore are on rise and getting popular among the travellers. Service Apartments in Coimbatore have all ranges from 2bhk to 3bhk and 4bhk. Plus, the bedrooms have attached bathrooms provided with the essential toiletries. Ac’s and room heaters are also provided according to the season and weather. Service apartments in Coimbatore for Rent offer you fully-equipped kitchen with all the necessities from gas-stove to microwave, refrigerator, cutlery, utensils, kettle, oven, sandwich maker, water purifier and many more. With these many facilities, essentials and environment like a home, Service apartments in Coimbatore for rent are safe and secure. The priority is the safety of the travellers and visitors and for this very reason; apartments have 24-hour power back up and water facility, CCTV cameras, enough inside and outside lighting, and security guards. So whether you are alone or in a group you need not worry about safety, as you’ll be safe, secure and can have your own privacy. Service Apartments in Coimbatore for rent offer you fully-equipped kitchen with all the necessities from gas-stove to microwave, refrigerator, water purifier and many more. Service Apartments in Coimbatore is cost-effective with usual home-like experience and hotel-like services. Moreover, you’ll have a memorable experience and pretty awesome in such accommodation. 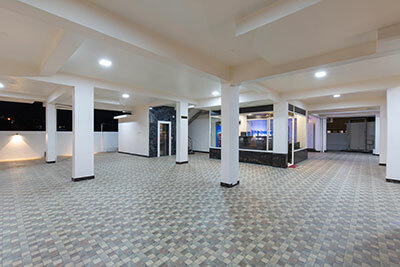 As compared to hotels, Service Apartments in Coimbatore for rent are much more convenient. One can book apartments for short-term or long-term stays. The time period of staying is not a hindrance. Plus, the duration of stay won’t be a big problem. For instance, if any changes occur in your business plan that demands longer stay, then you don’t need to worry, you can expand the stay without any complications. Location and surroundings are the major concerns of the people who would be staying in any of the Service Apartments in Coimbatore. But these apartments have amazing surrounding both internally and externally. Well, while looking for the corporate accommodation, apartments are the best as they are centrally located and are in close access to the major sight-seeing and business areas. Generally, business travellers would look for something that has calm surroundings and nearness to their business areas. Living in an apartment would offer you ample of space. Do you want the whole apartment? No issues. You can party with your friends and have fun. For business travellers, abundant space is a plus point, as they’ll get to relax and enjoy the space with comfort and safety. Each of the Service Apartments in Coimbatore for rent are let out on daily / weekly and monthly basis and are ideal for those who desire comfort when on business trips or leisure vacations in homely surroundings & spacious.